Fred McDonald, owner and founder of American Eyecare, has been providing for the optical needs of the Lakes Region since 1989 – but he doesn’t do it alone: wife, daughter, and son-in-law combine skills to make American Eyecare an institution of excellence and a true “family affair.” Fred’s wife, Suzanne, fills the position of Human Resource Director, serves on the Board of Directors, and takes care of all things behind the scenes. Daughter Meredith Krauchunas, a Registered Optician and member of the American Board of Opticians, is significantly involved in the daily business of American Eyecare while staying home with her two young children. Son-in-law Scott Krauchunas, O.D. Ph.D., also known as “Dr. 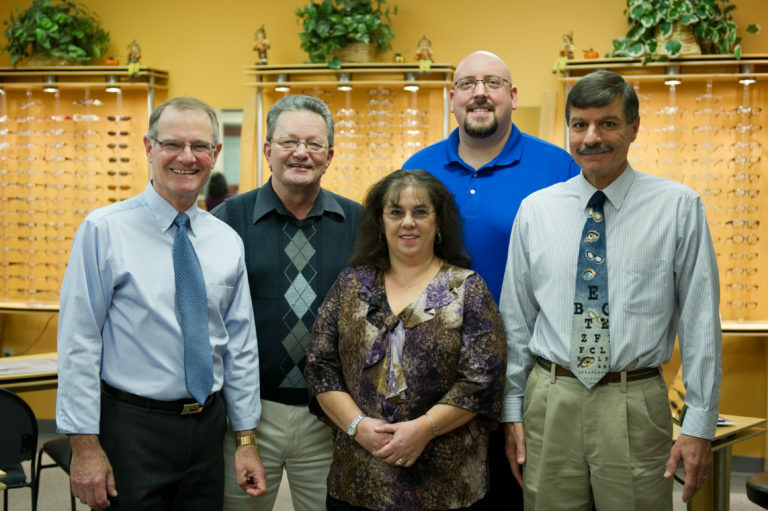 Krunch,” offers on-site optometrist services. DID YOU KNOW….your healthcare flex spend can be used for all your perscription needs such as eye glasses, sunglasses, lenses and frames!